Vegetarian/Vegan Product.5-HTP is extracted from the bean of the African plant Griffonia simplicifolia, a natural vegetable source. 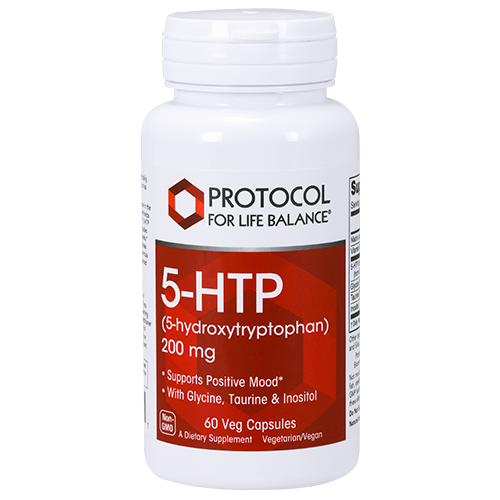 5-HTP should be used with caution in combination with any serotonergic drug or herb. These include dextromethorphan, meperidine, SSRIs, SNRIs, MAOIs, and other antidepressants, as well as St. John‘s Wort. If you take any of these medications, consult your healthcare practitioner prior to using this product. Individuals with a history of cardiac conditions, use only under the direction of your healthcare practitioner. Not recommended for pregnant or lactating women.